Last week we shared a couple of little unboxing videos and this week we're back with more! Today I'm sharing unboxing videos for kiwi crate and tinker crate. I had heard about this monthly subscription box called Kiwi Crate quite a while ago, so I was excited to check it out! Katrina LOVES art, so this crate was right up her alley. She had a great time designing her little snowman blocks and coming up with funny ways to mix & match the sides- she even made a dog head for one of her "snowmen". :) I was really happy that the box came with more than one activity too, because that meant that it wasn't just a one-time thing. 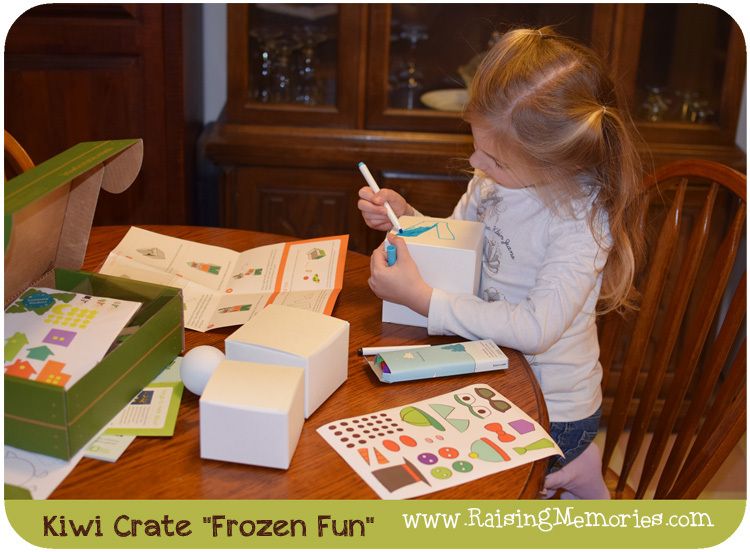 This gave her enough to do on more than one occasion- and the snowman craft/game took longer than one sitting to complete, so all in all, this crate provided days of after-school fun for her! The theme for the box we received was "Slime" and it came with a few materials and instructions to make several types of slime as well as information all about polymers and inspiration and ideas for projects she could try using common household items (such as making plastic with milk and vinegar!) not included in the kit. She made some glow-in-the-dark stuff and it glowed really well in the dark- it was so cool! 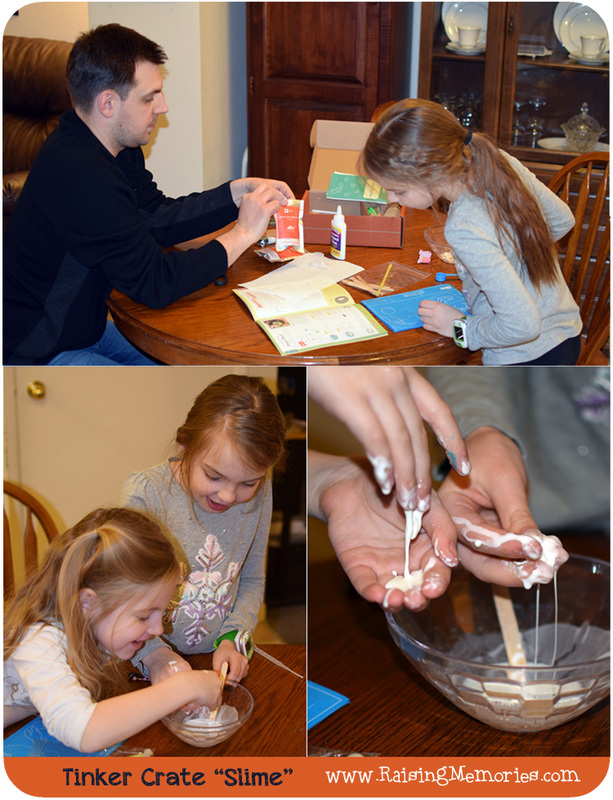 In the photos below, Ken is helping her to make "magic mud" and Katrina is getting in on the fun too. - I don't have to make the plans or gather the materials! I love to do things like this with my kids, and I do things like this on my own a lot of times, but let's be honest- this makes things SO MUCH easier!!! I think this would be a fabulous non-toy gift! I would love for my kids to have a subscription to these boxes! The kiwi crate brand has 4 different crates (the other two are the koala crate for ages 3-4 and the doodle crate for ages 9-16+) and you can find more details about them on their website. Disclosure: We were provided the products shown above for review purposes. All opinions shared are our own! What a great product! My son would love to receive this in the mail. I think this would be a great gift idea too! What a fun box! My kids love doing arts and crafts, but sometimes I need a little help with craft ideas. Your kids had a blast, I see! These look so fun! I know my boys would absolutely love getting crafts to do every month. These look like so much fun! My kids love to get their hands dirty while making crafts. This looks like right up their ally. Monday Moments: What Am I Saying?